With the high insecurity levels witnessed in many cities today, a large number of people are thinking about beefing up their security, and a bullet proof vest is among the top items in their list for this. Bullet proof clothing is vital for protecting the wearer from knife slashes, stabbing as well as bullets. Traditionally, only armed forces personnel and law enforcement officers used to wear bullet proof vests, however, there are numerous reasons that a civilian will also wear this type of clothing. To ensure that you get the necessary protection from the chosen bulletproof clothing, it is important to ensure that you make the right purchase decision. The following tips will shed more light into the purchase of bullet proof vests, you may also consider if you will need concealable bulletproof resistant clothing. Bullet proof vests are the most common type of bullet proof clothing known today. These come in different variations depending on the requirements of the intended application. When conducting your bulletproof clothing research, you will come across the terms, soft and hard bulletproof vests. 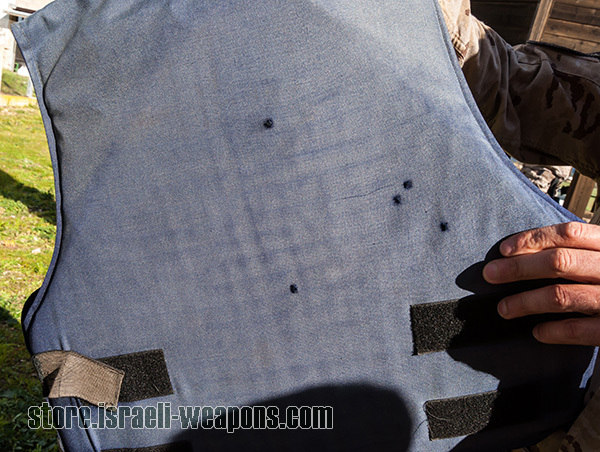 Soft bullet proof vests are made with meshed material made from Kevlar or Twaron. You can also find modern polyethylene made bulletproof clothing that tends to be lighter; however, this material can be affected by environmental degradation over time. These bullet proof vests tend to be best suited to stopping bullets from small handguns and some shot guns as well. On the other hand, we have hard body armor. This type of bullet proof clothing is designed to accommodate steel, polyethylene or ceramic plates. They tend to be highly resistant to blunt force on the face, however, the non-metallic variety maybe be vulnerable at the edges. This type of bulletproof vest can stop rifle bullets and shotgun slugs. Buyers looking for bullet proof clothing can choose one from the available options according to their needs. Bullet proof vests come in a variety of thicknesses depending on the intended purpose. This usually affect their how easy they can be concealed when worn. Not everyone wearing a bullet proof vest wants it visible. The thickness of the bulletproof clothing chosen also determines its stopping power. Buyers should look for the best trade-off between bullet stopping power and the ease of concealment. As previously stated, bullet proof clothing was initially designed for use by law enforcement officers and the armed forces. However, civilians have the right to own and use them as well. It is recommended that you check with the legal regulations governing the purchase and use of bullet proof clothing around your country or state to ensure that you do not break any laws by choosing to own and use one. Is there a bullet proof t shirt for men? something that will prevent a bullet from a hand gun? if so we are interested in buying in bulk.